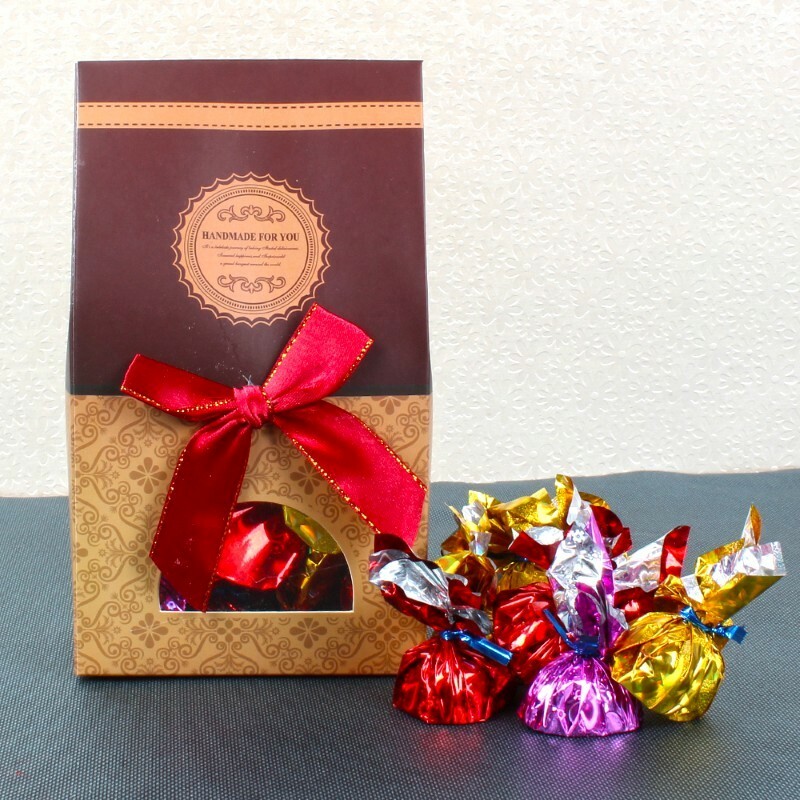 Product Consists : Box of Home Made Chocolates (Weight : 200 gms). A gift that is beautiful to present is always good. 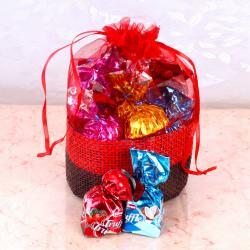 This is a hamper that has assorted delicious homemade chocolate packed in a gift box. The gift box is very attractive and looks beautiful. Presenting anyone with chocolates is a great thing. 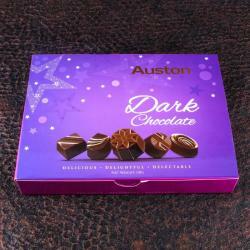 Chocolates are always delectable and they have the capacity to lift up the moods and delight senses. 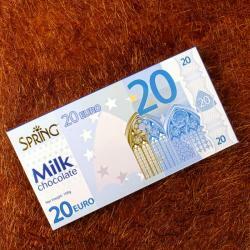 So for any special day, chocolates are a great gift. Gift this Box of homemade chocolates to anyone you want to see smiling. The chocolates is packed beautiful in colorful wraps. 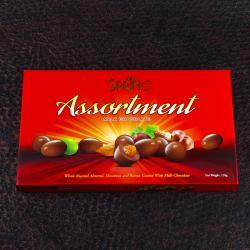 Product Includes : Box of Home Made Chocolates (Weight : 200 gms).